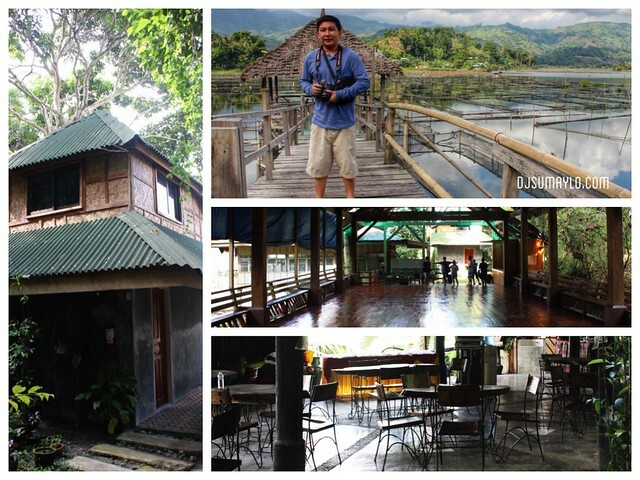 Going inside Lake Sebu Mountain Log Resort felt like going into another dimension. 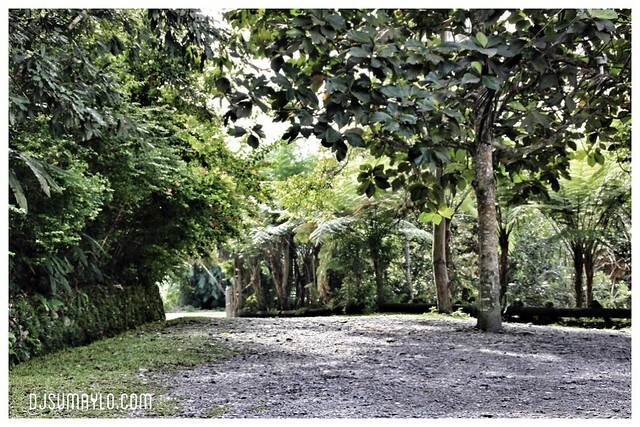 With its tall wooden gates covered with plants and an unpaved driveway reminding you of The Lord of the Rings movie, you would immediately say you would like to stay in this resort. Its restaurant, rooms and cottages that ranges from 600 to 3000 pesos per night, and function hall were hidden from view with a lot of plants. It offers a dining cottage where you are surrounded by water lilies and a wonderful view of the lake in your foreground and the mountains for your background. The resort also offers a wide array of tilapia recipes as well as other recreation activities including tilapia fishing if you are not that hungry. Cook your catch was their concept. 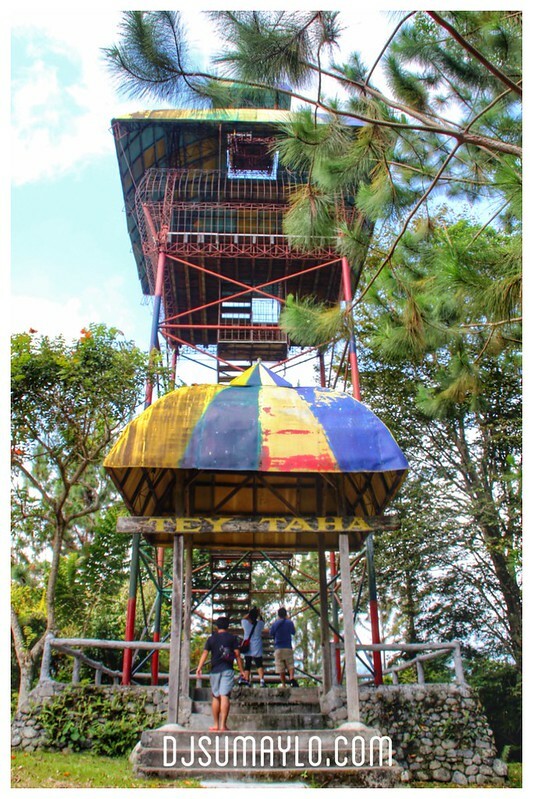 But aside from that, this resort also offers a 70 meters high view deck called “Tey Taha.” From the top you can see the lake and the rice fields, two attractions offered by Lake Sebu. We even saw the resort where we were billeted (coz we feel like we were local tourism soldiers). 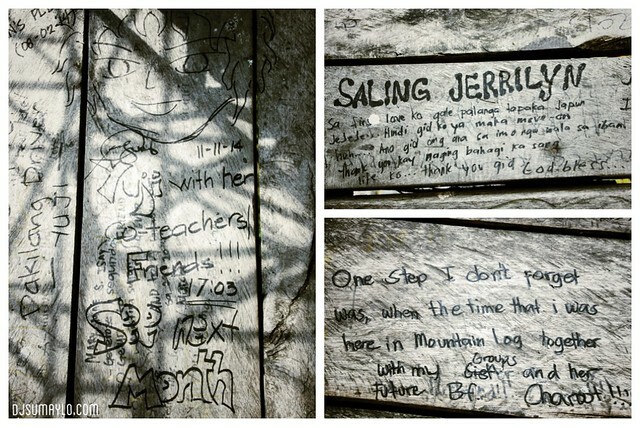 Aside from the view, your climb to the top will be entertained by various graffiti. The walls and floors of the Tey Taha were turned into one tall “freedom wall.” Messages of love and fascination or simply telling everyone they were there will make you smile. I personally love graffiti. For me, these messages, these expression of love, happiness, failed love, and of penance (for those who are afraid of heights) were left there hoping that someday, someone who shares the same emotions will be able to read it. For more information of Mountain Log Lake Resort, you may contact them at 09175746729 or visit their website at http://www.lakesebumountainlogresort.com. You can find them on Facebook as well at fb.com/lakesebumountainlog. You may also contact our DOT accredited tour guide Mr. Roy Ungkal at 09066931745.